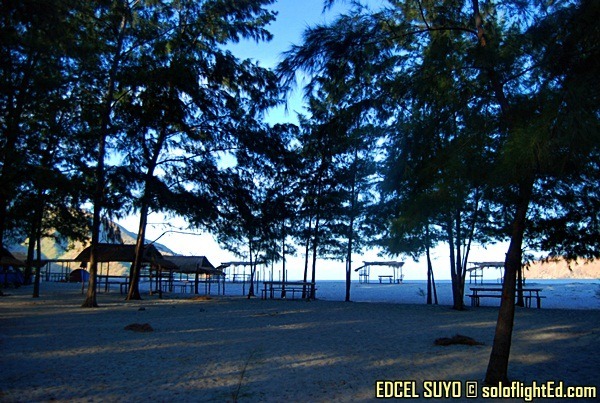 Despite sleeping early after our cookout and campout in Nagsasa Cove, I still woke up late. I must’ve been exhausted at the time because my mind aimlessly wandered on trivial things I could’ve just worried about later on – going back to the office in a couple of days and thinking about my pending freelance tasks that were way overdue. My eyes were fixated on the view from inside the tent and I didn’t want to get up. But the sun motioned me to step out. who wouldn’t want a sight like this when jogging? 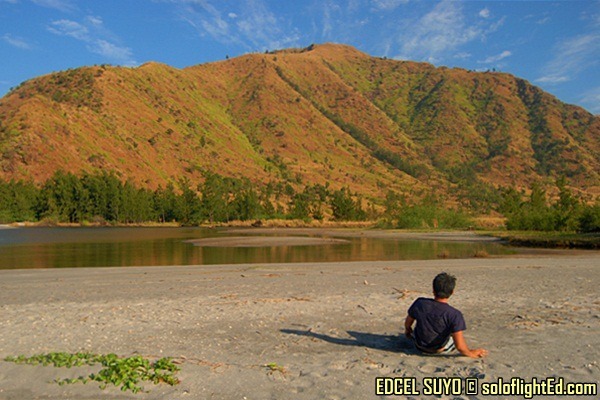 I got out and saw my companions already taking photos of the beautiful Nagsasa scenery. Footprints were already present indicating how people have also awoken from slumber, taking advantage of the sand that was washed away by the previous night’s tide. I used to wake up early even without an alarm to remind me. 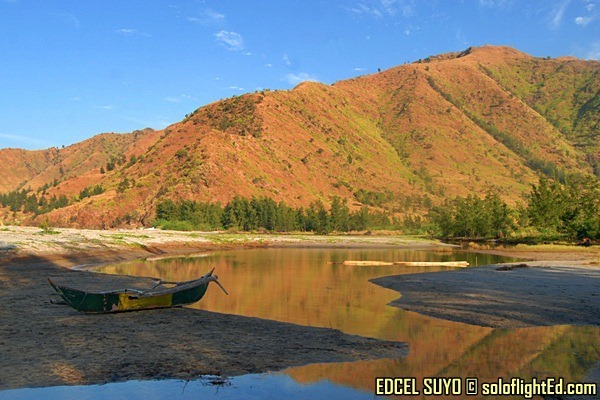 But it was too late to whine; besides, Nagsasa still holds its charm due to its stillness. Wearing my sweatshirt to fight off the morning chill, I decided to jog while I waited for the sun’s rays to creep out from the mountain range. With a view like this, who wouldn’t want to stop time? After a few laps (just wanted to call it laps so I would feel like such a runner, haha), I quit the physical activity. I found out I was still limping from the fall in Anawangin the previous day so I decided to stop the absurdity of feeling “athletic”. I went back to the tent, brought out my camera and started shooting. Pine trees were still present and although there were already a number of people around, the place was still big enough to safely say that you can have a section all to yourself. Streaks of cirrus clouds adorned the landscape and I couldn’t contain myself from admiring the panoramic view of the location. The weather was definitely on our side during this day – something I was truly grateful for. 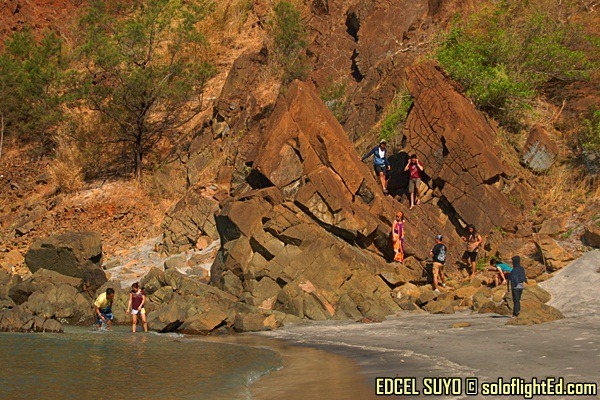 It was through a friend’s Facebook album where I first had a glimpse of Nagsasa Cove. It was 2 years ago when I wondered if I could even reach this destination at all. When I finally did this year, it makes me realize that so long as we keep a mental thought of something we want, we can definitely achieve it. 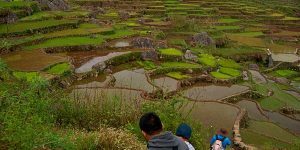 This trip to Nagsasa surely didn’t disappoint me. I came back from the stroll with food already prepared. I thank Teresa for taking the lead and ensuring that we were well-taken care of. We were to continue our trip to Capones Island where another adventure awaited us. Breakfast was definitely needed to keep ourselves full. We were able to stay on budget with this trip. So I’ve been thinking about preparing for other travels and adventures that are well within my range. I’ve been saving a lot these days in order to replenish funds that were depleted because of these travels. I even stayed away from airline promo websites so I wouldn’t be tempted to book out of impulse. But thinking about rewarding myself in the process, I’ve thought about searching for cheap holidays to Turkey so I can go out of a country and experience another place and their way of living. I just have to keep on saving in order to get out the soonest time possible. ang ganda talaga ng nagsasa cove. parang drawing lang yung mga bundok. heheh. wow, everything seemed so inviting! 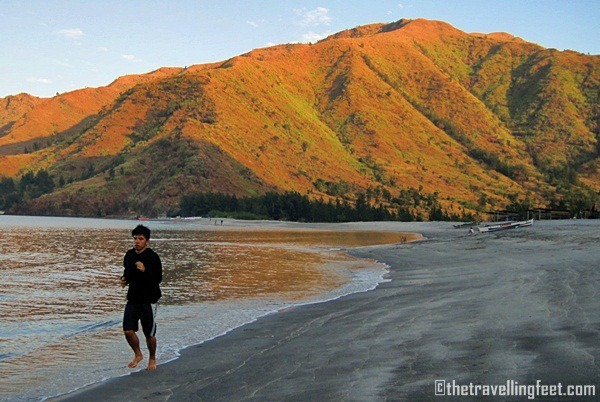 Ive been to Zambales like 5 times in different spots but never been to Nagsasa Cove. 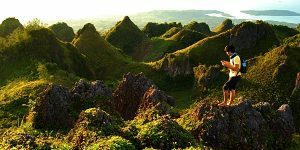 My plans in the future is to trek Pundaquit mountain, rest in Anawangin, Cove hopping to Nagsasa, Talisayin and Silaguin coves and Climb up Mt. 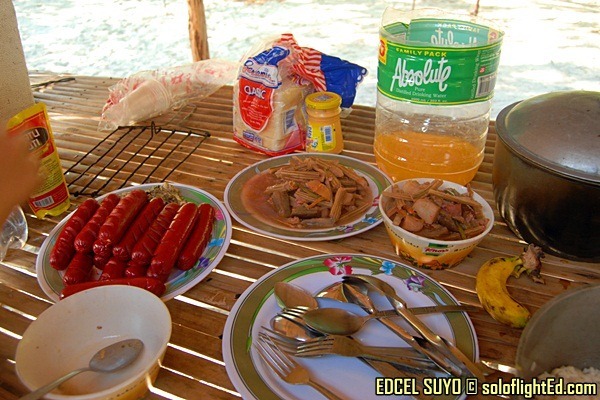 Cinco Picos… I wish magkasya ang 2 days! ambisyoso na ako nito! @pinaytraveljunkie: haha, mabuti na rin at isang pack ang binili namin na hotdog kasi ginutom kami nung nag Capones na. hehe. @renevic: haha, balik ka sa Nagsasa renevic! hehe. I love the 2nd pic! 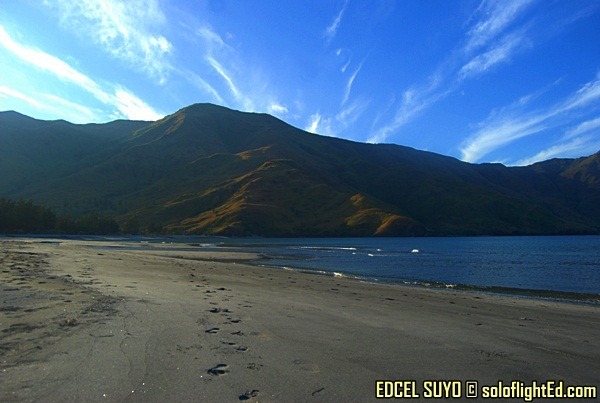 It looks like a picture scene from a Narnia movie with all the scenic view of sand, mountain and sky view of Nagsasa cove. Even the whips of clouds in the sky seems to be icing of the whole picture! Then, the paronamic shots are all gorgeous! 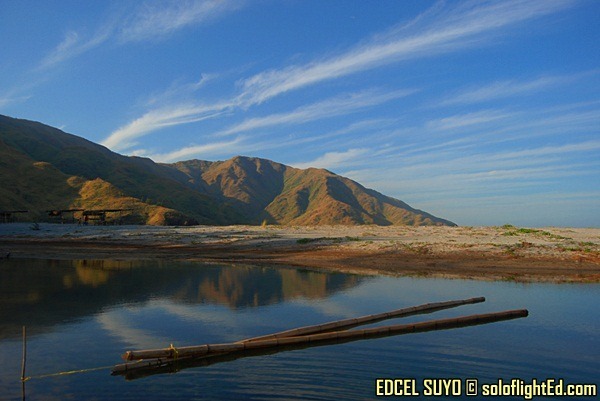 You capture the whole beauty of Nagsasa Cove! How do you do that? It's all perfect scenic shot! sha ikaw na ang may photo album sa gilid. hahah! Nice one. Ang ganda ng mga landscapes na yan. Wala pa rin pinagbago.. Malborong Malboro pa rin ang dating. Kabayo't kalabaw na lang kulang. Natutukso ako sa SLR. hahaha! nakakainis. Anyway, na-miss ko ang jogging bigla. Buti ka pa active active-an. "so long as we keep a mental thought of something we want, we can definitely achieve it." 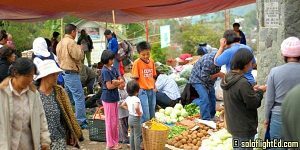 — yes ed damang dama kita dyan! haha. 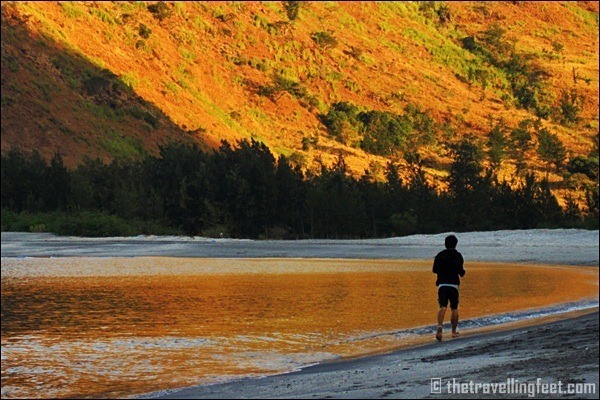 Iba talaga ang ganda ng Zambales coves! na miss ko tong blog mo Ed 🙂 ngayon lang ulit nakapag blog hop..
@kura: haha, salamat at napansin mo pala! haha. 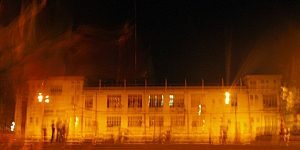 active-active-an lang tong jogging2x kasi may camera, lol. The photos are beautiful! 🙂 Inggit more! astig ng mga panaoramic shots. nagsasa is indeed a top spot. @mel: gorgeous talaga! 😀 di na ako nakapagpicture sa rocks, andaming tao kasi. hehe. thanks! @dong ho: thanks dong ho! my first and only camping trip, so far. Can't wait to do it again. sarap sa nagsasa cove talaga. kahit medyo malayo, super worth it! @pinoy boy journal: camp ka uli! hope to travel with you soon para mainterview din kita sa podcast sessions ko. haha! thanks jerik! @karl: thanks for dropping. 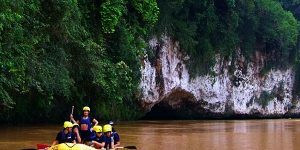 hope this virtual tour will inspire you to get out as well! ganda talaga ng Nagsasa!